Home Gadgets & Outdoor Gear Ticwatch E2 and S2 Now Shipping! 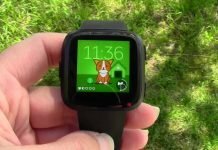 Probably the most popular budget friendly Wear OS smartwatch was the Ticwatch E. It’s certainly been a popular topic on this site. 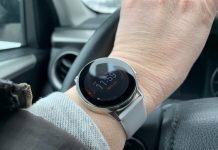 My review of the Ticwatch E was positive. 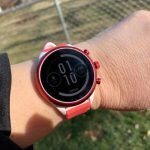 In the summer of 2018 I reviewed the Ticwatch Pro which also tested out very well for me. So I’m looking forward to reviewing the Ticwatch E2 because I’m expecting good things. You can see and/or purchase the E2 on Mobvoi or Amazon. The major differences between the Ticwatch E and E2 is that the E2 has a waterproof rating of 5ATM. This is plenty good enough to go swimming with. It has a built-in GPS, hopefully improved from the E which I could never get to work truly as a stand-alone GPS watch. While it has a built-in GPS, it still required a connection to my phone to work. The GPS was accurate by doing that but I’d prefer a watch that doesn’t need my phone for GPS. The built-in GPS on the E2 supports GPS + GLONASS + Beidou + Galileo. Those are all satellite systems and with access to so many I would expect the GPS to be good. We’ll see. I’ll be testing the heck out of it! Also new to the E2 is sleep tracking. 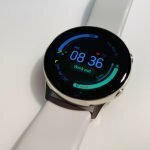 With the E you have to use a third-party Wear OS sleep tracking app. Now we have a native sleep tracking app which is a big improvement. The number one concern however, is battery life. While I could squeak out close to a day on the Ticwatch E, the E2 is supposed to get closer to 2 days depending upon usage. If that’ true, it’s a big improvement. While it’ll probably still need to be charged every day, if it can easily get through 24 hours with battery left to spare, that means I’ll be able to take advantage of my favorite hiking apps on Wear OS (like ViewRanger) without worrying about the battery so much on my Sunday afternoon hikes. 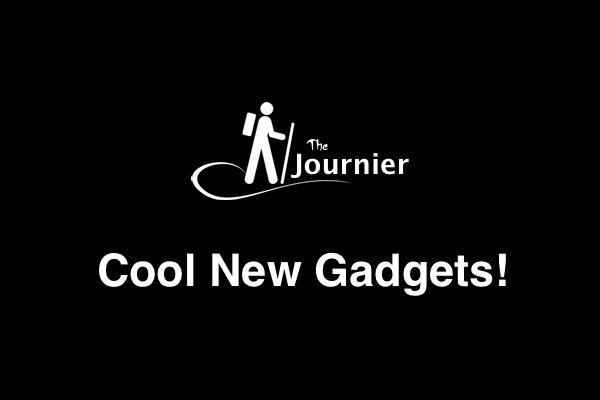 Btw, right now ViewRanger is only supported on Wear OS watches paired with Android phones which is a bummer since I have an iPhone but more about all that in the full review. 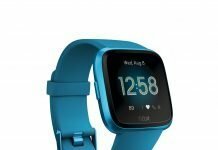 As of January 21st 2019 the E2 is priced at $159 and is available on Mobvoi’s site and Amazon. It only comes in one color – black. Well, I didn’t have to worry about trying to decide which color to review. I wish the E2 also came in white. The S2 is available, or will be, in black and white and is priced at $179. 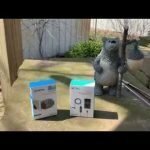 The main difference between the E2 and the S2 is the build quality. The S2 has a military grade rating which can take extreme weather and other outdoor conditions. Still absent from the E2 and S2 is Google Pay since NFC payments aren’t supported. 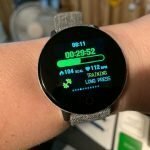 An interesting new feature that I’m eager to try out is TicMotion 1.0 which using AI algorithms to detect activities such as walking, sleeping, etc. Withings also has the technology in their new Withings Move. According to Mobvoi TicMotion will be able to count laps when you’re swimming and gather more metrics about your activities. 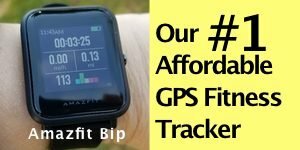 With TicMotion you don’t have to select the activity you’re doing. It promises to be smart enough to know when you’re doing specific activities but I’ll be testing out that out too! 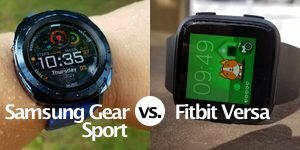 Samsung also has this feature in the Gear Sport and Gear Fit and it’s pretty good at picking up when I’m walking, running, etc but when riding a lawnmower it thinks I’m riding a bicycle, so it will be interesting to see if AI (artificial intelligence) has become smart enough with TicMotion to know the difference. Anyway, I will have pics of the E2 to share and my first thoughts of it and I’ll update this post with pics and a link to that article when it’s ready. 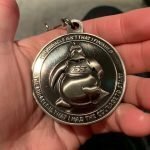 UPDATE: I ordered the E2 but received the S2 so you can now see pics of the S2 and my first thoughts of it here! Until then, you can check out the E2 and S2 on Mobvoi or Amazon. US Military Standard 810g: Operational between -20 degrees C (-4 F) to 55 degrees C (131 F); resistant to humidity, dust, and salt fog.